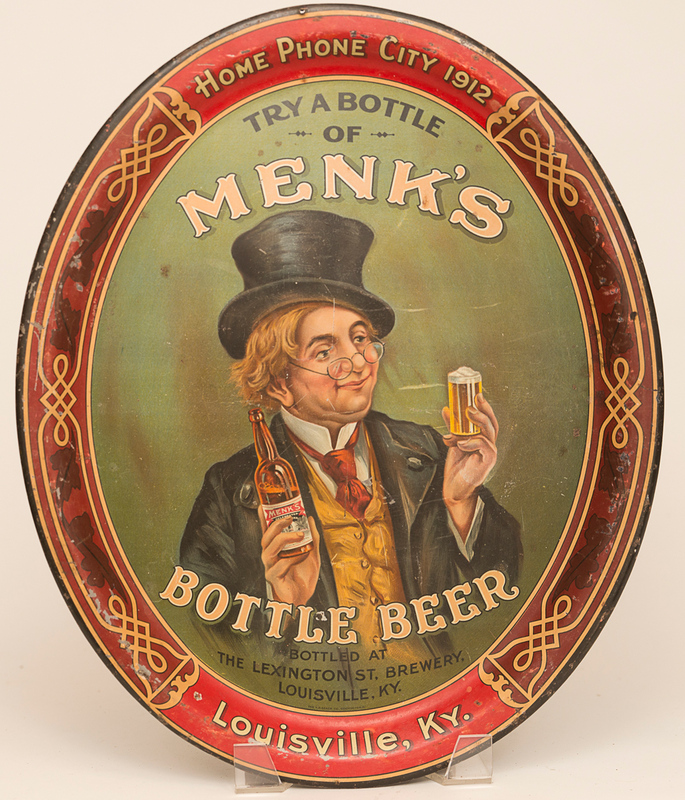 Stunning pre-pro advertising for Menk's Bottle Beer of Louisville, KY. 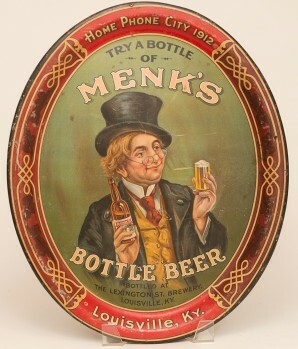 This is an exceptionally rare tray and one that displays incredibly well as the man peers out of the tray to make eye contact with the viewer. Tray has minor scuffs on rim and a couple minor scratches in the background.